Cameron Taylor has been named vice president for government and community affairs at Emory University. She will serve as the chief governmental affairs officer for the university, including Emory Healthcare. "Emory is fortunate to have someone of Cameron's caliber assume this high-profile role that is so integral to the university's success at the federal, state, and local levels," says Jerry Lewis, senior vice president for communications and public affairs.” "She is extremely well connected in Washington and certainly knows her way around Capitol Hill. 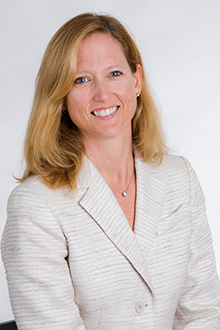 She does an outstanding job of representing Emory's interests and advancing its priorities." Taylor will continue to be based in Washington, D.C., and will lead a team of five government and community affairs experts who are based on Emory's campus in Atlanta. "I am excited to lead a great team of professionals whose mission is to ensure that Emory's vision and values are communicated and advanced by policymakers at the federal, state and community levels," says Taylor. "I look forward to continuing to build on the solid foundation that the government and community affairs program has achieved." Taylor, who has served as interim vice president since July, joined Emory as director of federal affairs in 2003. She has more than a decade of experience working on Capitol Hill. From 2001 to 2003, she served on the staff of the Senate Environment and Public Works Committee. Prior to that she served as legislative director for U.S. Rep. Tim Holden, D-Pa., and legislative director for the Northeast-Midwest Senate Coalition, a bipartisan coalition working to advance economic development and environmental quality in the Northeast-Midwest region. An Emory alumna, Taylor earned a bachelor's degree in sociology and ecology from the university in 1990 and holds a Master of Science degree in resource policy and administration from the University of Michigan. She also is a graduate of The Robert W. Woodruff Health Sciences Center's Woodruff Leadership Academy. Taylor succeeds Charlie Harman, who previously served for two years as vice president and recently joined Garrett McNatt Hennessey Carpenter 360. Harman continues to work closely with Emory as a consultant and strategist. Emory's Office of Government and Community Affairs serves as the university's voice with all elected and appointed officials at the federal, state, and local levels of government concerning legislation and public policy that affect academic and medical research, higher education and health care, and students and patients. The office also seeks to develop and strengthen partnerships with national and state associations, as well as with Atlanta-area community and civic organizations.